Every year forest fires will happen in regions in North America because of two reasons. Natural and human causes. Most natural reasons for forest fires are lightning strikes and rarely spontaneous combustion of leaves and dry materials on the forest bed. The other main cause of forest fires is the human cause like campfires left unattended, cigarettes tossed on the ground, playing with flammable fuel, fireworks and arson. Unfortunately, that will mean people will lose their homes and businesses. But the most important issue with forest fires is how it affects people’s health. Anywhere there are forested areas there can be forest fires under the right circumstances. Especially chronically dry areas that you find in California and British Columbia. In Canada 45% of fires are caused by lightning and 55% caused by humans. The Lightning fires are responsible for over 80% of land burned because Human fires happen close to populated areas and are easily extinguished according to the Government of Canada. In the United States 4.5 million homes have been identified as high risk to wildfire and 2 million of those are in California according to Verisk 2017 Wildfire Risk Analysis. There are many problems associated with burning wood that you will need to look for if you live in areas that are vulnerable to Forest Fires. When wood burns with other organic materials it produces gases with small particles that can be harmful to your health. By breathing this smoky air in, your body will produce mucus and tears as a defence against this attack. Immediate side effects from breathing in smoky air are runny noses, sore throats, clogged sinuses, headaches and coughs. will be at more risk then the average healthy person. Children, Seniors and Pregnant women should be considered high risks to this smoke inhalation. Wildfire smoke can make anyone sick even healthy people according to the CDC. Doing any physical activity or work outside when this smoke is in the air can have adverse health effects to your body. It is better to stay inside with the windows closed. One way to avoid side effects from forest fire smoke is to move away from the smoke if possible or to stay inside where there is better clean airflow. If your living too close to the fire you will probably have to be evacuated from the area. Forest Fire smoke can seep into your house if it is a poorly constructed or old. Make sure dry brush and trees are not located close to your home. Keeping a space between the forest and your home could possibly save your home if your house is in the line of fire. 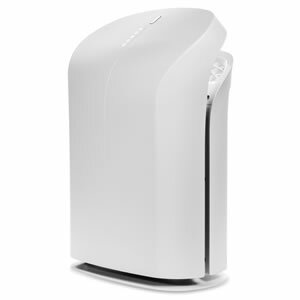 If you have a HEPA (high efficiency particulate air) air purifier than put it on. HEPA technology can take very small particulate out of the air, especially the ones produced by forest fires. Air Conditioners whether in your House or Car also can take some of particulate out of the air. If you smoke now is the time to quit or at least give it up until the forest fire smoke has dissipated. If you live in a forest fire region especially areas prone to droughts than this kind of smoke is something your going to have to deal with. Having a HEPA air purifier and Air Conditioning in your home will help your situation. Remember forest fire smoke can travel for miles/kilometers, so if your living in one state/province that isn’t burning you can be still affected by a state/province net door that is burning. How forest fires are fought are usually the responsibility of the State or Province. Some governments believe putting out fires as soon as they happen, and other governments might like them to burn themselves out. You need to know this if you are living in a forest fire area and have health problems.